While on the west coast I had an opportunity to reflect on the past and ponder about the future. Having a chance to breath and relax I was finally able to 1) organize my thoughts, 2) enjoy my success, 3) consider my future (both professionally and athletically) and 4) make some life changes. Making changes is hard and oftentimes overwhelming. But, a good road map with key milestones makes the journey much easier. Running has taught me that no race/training session/day is ever going to be the same. 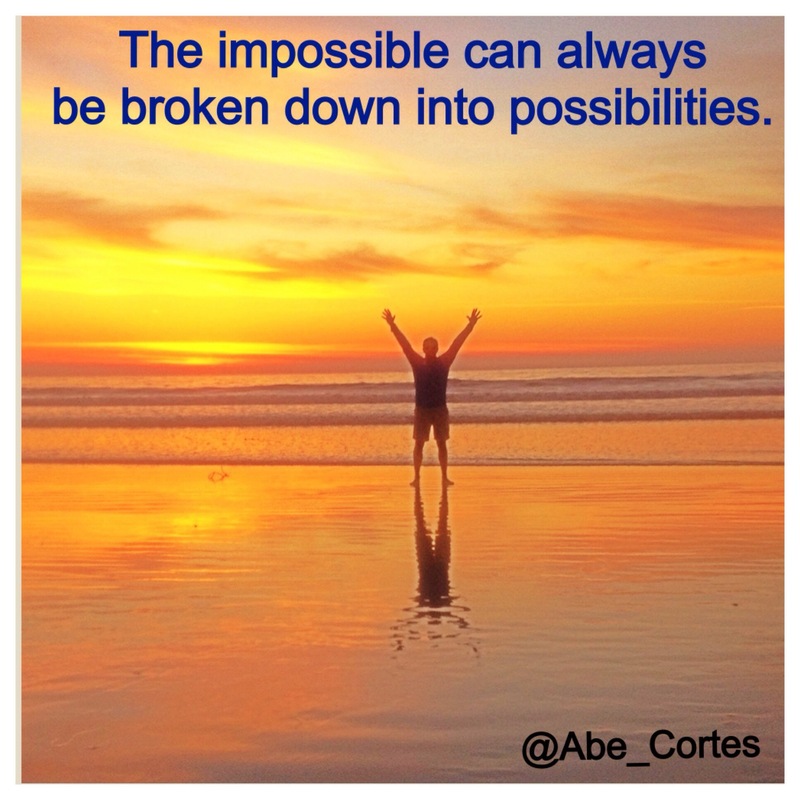 Don’t fear what you don’t know, but find a way of making the impossible… possible. This entry was posted in Running and tagged #C4Athletics, #F3Community, #FlagNor, #Flagnorfail, #gobigorgohome, #Instarunners, #Runaholics, #RunChat, #Runnerds, #RunThisYear, 100mile club 2.0, 13.1, 26.2, 3run2, Athletic, Boston Marathon, C4 Athletics, Challenge, fitness, fitspo, instafitness, instatri, Mamavation, Nutrition, strava, Training, Triathlon, Ultra Running by @Abe_Cortes. Bookmark the permalink.